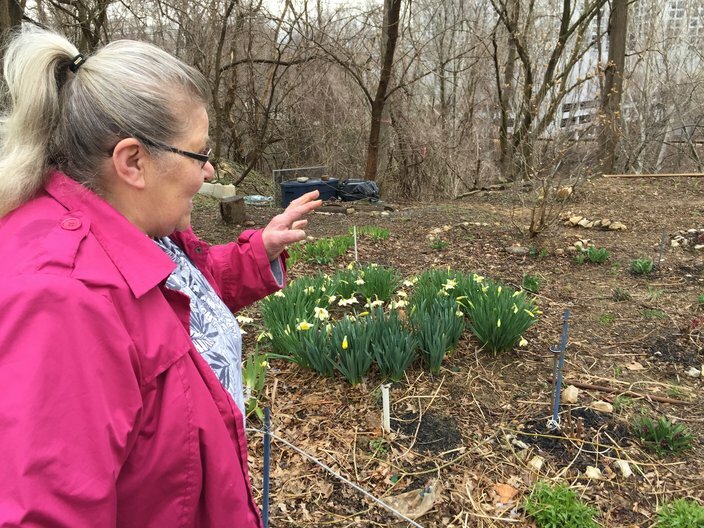 Near Mimi Drive and Lankenau Road in Wynnefield Heights, a green-thumbed neighbor keeps the streets clean and the land behind the alleys looking like a welcoming garden, much to the delight of residents. Enough negativity, they said, we want more positive stories. When we asked you to dime out your bad neighbors for some anonymous public shaming, dozens of you replied with your tales of woe. Well, when we asked for submissions that we could highlight in a series about the Good Neighbors of the Delaware Valley, just two folks responded. The other was from someone worth hearing out, and the tip sparked a tour of the neighborhood on Monday from a resident of four decades who said everything the poster said was true. Below their story is the Google Doc through which you can shout-out the good neighbors in your lives. Please use it. We need to celebrate more good people in the world. You've said so yourselves. A man in the neighborhood cleans up trees and branches when they fall after storms. 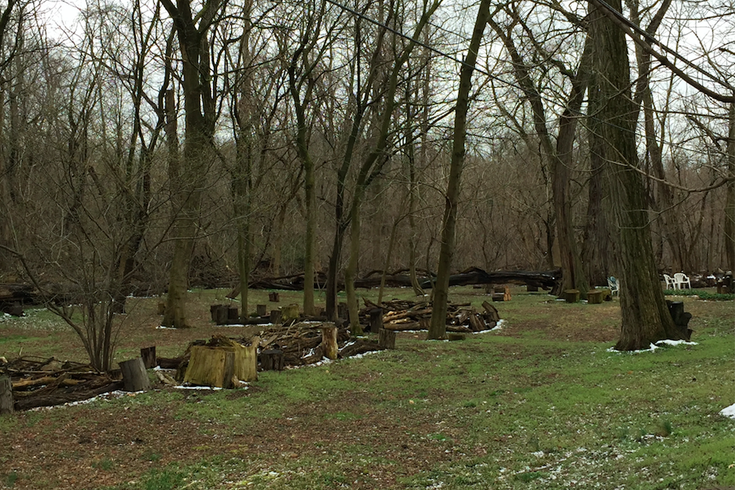 Since our neighborhood backs up to Fairmount Park, this happens often. He has created a garden-like atmosphere in the alleys behind several blocks (Wentworth Road and part of Mimi Circle) by clearing out brush and trees, and creating paths and gardens. But most of all, he picks up litter. If you ever drive along Ford Road, Chamounix Drive, Greenland Drive, and Neill Drive in the Fairmount Park area, look for a man picking up trash, or the black trash bags he leaves for the garbage trucks to pick up. He is amazing and goes above and beyond to keep the neighborhood and Fairmount Park clean and help prevent the illegal dumping that occurs in that neighborhood. It means so much to the entire neighborhood. He is such a hard-working man who truly changes the look of the neighborhood. That marks the end of the resident's good-neighbor submission. What those words prompted, however, was a PhillyVoice visit to Wynnefield Heights to get a look at those celebrated alleys. A garden off the alley behind a residents on Mimi Circle in Wynnefield Heights. It was there that we met Mila, who said she's lived in the area for 40 years now. She came from what was then known as Yugoslavia but now referred to as Serbia. She said she shares her home with her brother and nephew during the six months they're here in Philadelphia (cabbies-turned-Uber drivers, they spend six months of the year in Europe). "Oh, I really respect him," she said of the mystery neighbor. "Look at these streets? No papers on the ground at all." 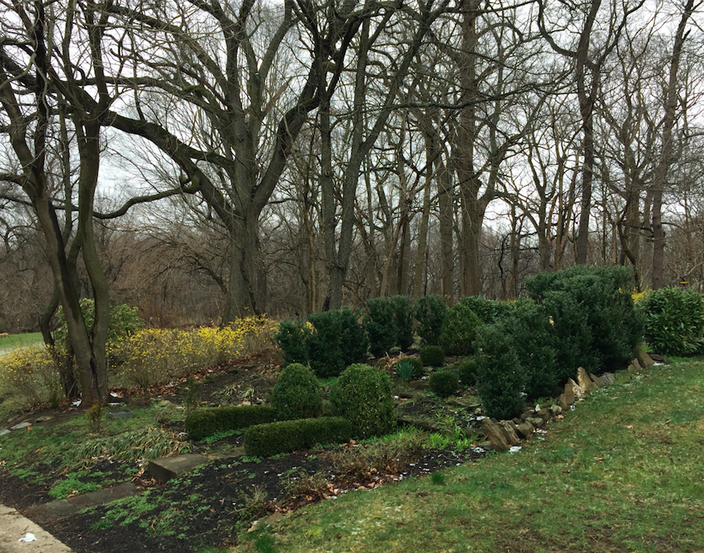 Between her alley behind Mimi Circle and nearby Lankenau Road (and other streets) sit plots of gardens and cleared out trees. "He does this all by himself," Mila said proudly of the neighbor whose name she did not know, but would recognize from the days when she used to take walks through the neighborhoods. A note was left at the home possibly belonging to the man after nobody answered Mila's knock at the door. Mila said he is a retired teacher who does this not, for money, but because he loves keeping the neighborhood looking clean. She promised to keep an eye out for him and get him in touch with us before leading a tour of the neighborhood. Mila has lived in Wynnefield Heights for 40 years. She wanted to make sure everybody saw the gardens that kind-hearted neighbors keep up to help those who live nearby. That tour started with a look at the damage trash trucks recently did to the land next to her home. Mila also wanted to show off a notable treehouse of sorts down the block and a garden at the nearby Pavilion Apartments, which she said will make a good story in a month or so when the tomatoes, onions and other plants start growing. "These are great stories, too," she said.